Are you completely satisfied with the working environment you are in now? If you can’t answer yes then please read on. Hi, My name is Andy Daniels and I’m the President of Frank’s Automotive, Inc. in Tulare, Ca. My father Frank started this business in a Mohawk Gas Station on Inyo Street here in Tulare in 1960. 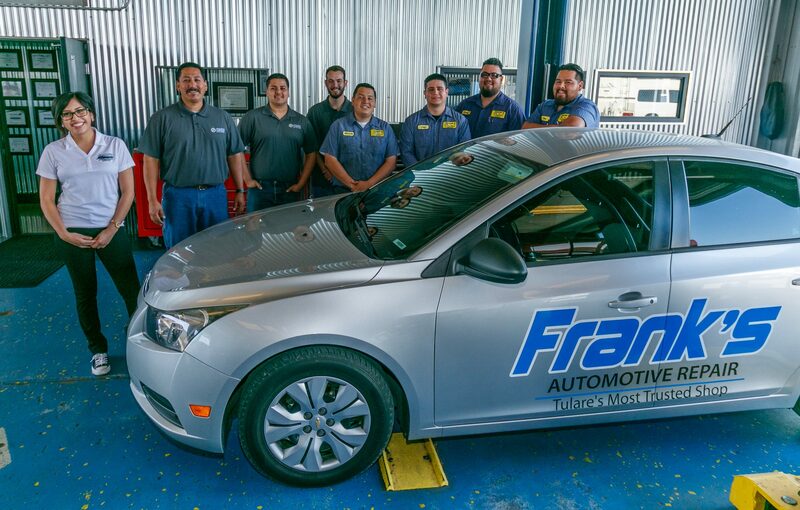 We are a group of automotive professionals that pride ourselves in working as a team, to provide the very best in customer service and experience. Our People Are Our Greatest Competitive Advantage. We have finished up a 1500 square foot expansion of the shop taking it to 8 bays with 8 lifts and set up for optimal production. If you are a working automotive professional that has experience in drivability, testing, repair and factory maintenance and feel like you would be a great fit for our team culture, I would love to talk to you. You can be sure, I treat my employees with respect and I want to see them succeed along with our company. Please submit your resume today by replying to this ad or directly to me at andy@franksautomotiverepair.com. An owner that truly respects and values his employees and their families. A five day work week. No Saturdays or Sundays. A great reputation in the community and customers that trust us. A team working environment with no drama. Modern, clean shop withexcellent equipment. Every tech has their own laptop & tablet to use with Alldata, Mitchell & Identifix. Exceptional hourly pay plan that has production bonuses built in. Paid holidays, paid vacation, paid sick leave, paid uniforms and continuing education fees are paid by the shop. I look forward to speaking with you soon, and would be glad to speak with you after hours to preserve the integrity of your current work status.